Do I Need To Fight Chargebacks? Chargebacks are one of the biggest issues that today’s businesses face. They can cause a number of issues including loss of revenue, fees, and the inability to accurately track profits. But do you need to fight chargebacks? Answering this question will depend on a number of factors that your business should consider. 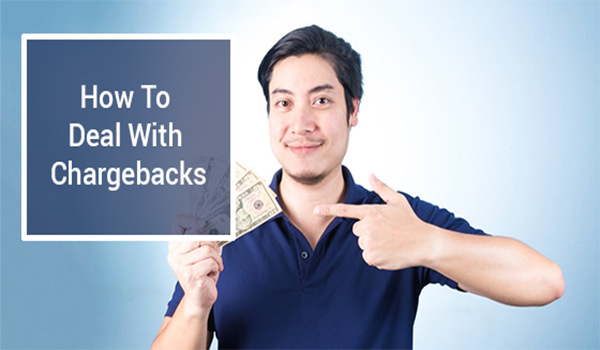 The following will help you understand chargebacks and what to do about them. Purchases can be reversed for a number of reasons. Chargebacks can affect both the sale of physical products and digital transactions. These can result from unsatisfied customers, unauthorized payments, processing errors, missing items and more. The customer requests a refund from their issuing credit card and the business receives the chargeback. A chargeback can lead to a number of costs to today’s businesses, including the fees applied when the chargeback occurs. These fees can become very costly to businesses. Additionally, tracking ongoing profits and revenue becomes difficult when you have to face chargebacks and their fees. A period of time often passes between the date of purchase and the date of a chargeback. This can affect your revenue goals and reporting. Refunds and shipping costs for returns add to the cost of chargebacks. In some cases, customers can dispute a charge up to two years after a purchase was made. If an error was made in processing a payment or if a credit card company identifies fraudulent activity, your business must cover the fees related to chargebacks and refunds. The best way to minimize chargebacks from occurring begins with ensuring you have a secure and reliable payment processing method with a trusted partner. Your business must take steps to prevent fraud. If you sell products online, you’ll need to implement tools that require users to verify their payments. These include account confirmations through email and the use of CVV security codes. MerchACT has a solid reputation and history of working with merchants providing them with processing solutions that are secure, easy to use and reliable thus helping to reduce the frequency and cost of chargebacks. Understanding your risks when doing business online is the first step in fighting chargebacks. Fraud is more likely to occur with online purchases since businesses are often unable to fully verify the identity of a user and delivery signatures aren’t required to receive packages. Businesses should keep track of their transactions in order to identify unusually large purchases. Discrepancies between billing and shipping addresses can also be a red flag for fraudulent activities. Merchants must be able to provide any information that’s requested by banks and credit card issuers. CVV verification, delivery information, and IP address data are some of the types of information that you may need to provide. The data you provide will help you fight a chargeback. Also, many payment processors offer merchants valuable resources to help them fight fraud and prevent future chargebacks. Consult with your payment processor in order to confirm that you have implemented the necessary steps to prevent and fight chargebacks. This protects your business from the financial and administrative hassles that chargebacks cause.